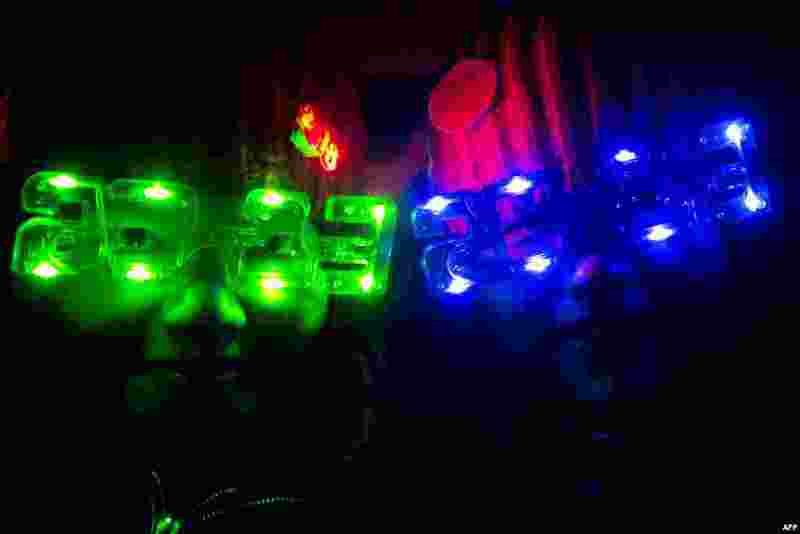 1 Revelers wear 2013-style glasses as they celebrate the new year in Beijing on December 31, 2012. 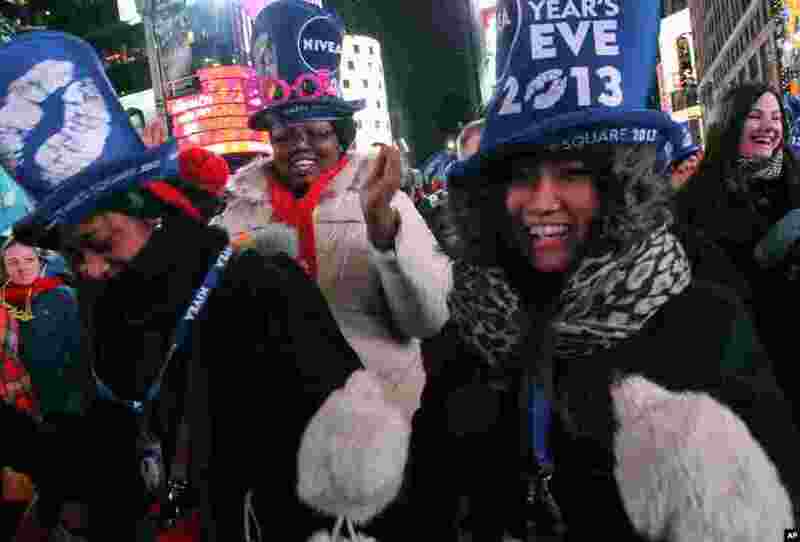 2 Tatiana Rakotovazaha, from Madagascar, foreground left, Aurielle Williams, from Kansas, center, and Yayoi Okayama, from Japan, foreground right, dance as they take part in the New Year's Eve festivities in New York's Times Square on Dec. 31, 2012. 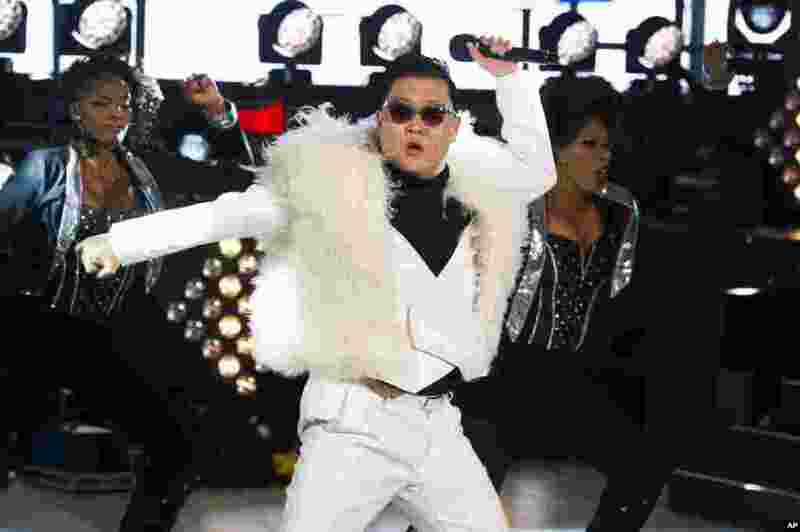 3 Psy performs in Times Square during New Year's Eve celebrations on Dec. 31, 2012 in New York. 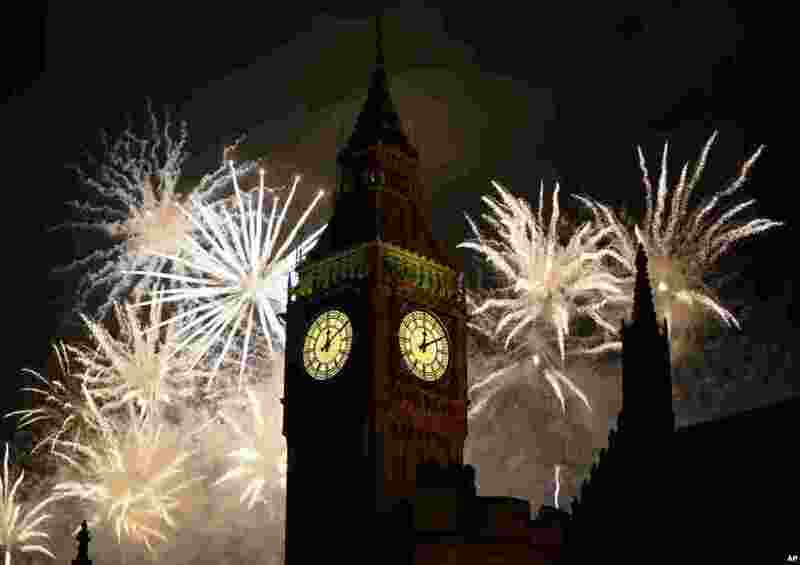 5 Fireworks explode over Elizabeth Tower housing the Big Ben clock to celebrate the New Year in London, Jan. 1, 2013. 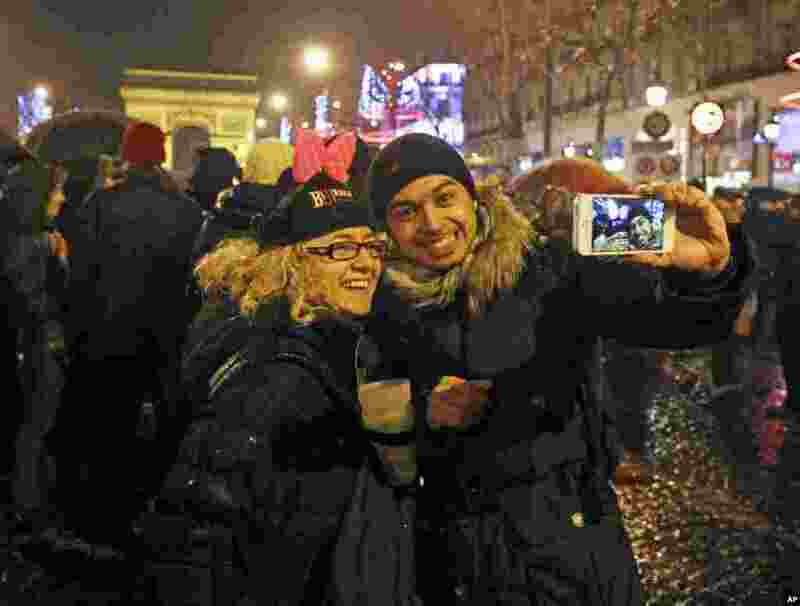 6 Revelers celebrate the New Year on the Champs Elysee in Paris, Jan. 1, 2013. 7 Fireworks explode in the sky over St. 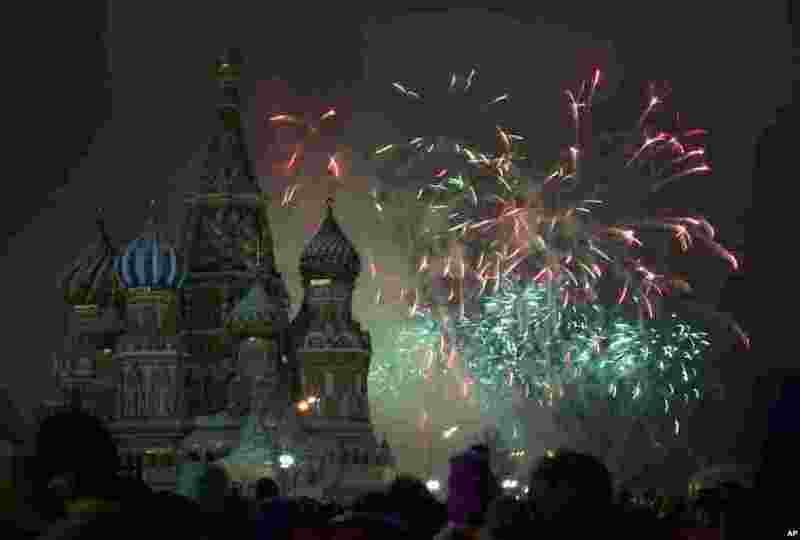 Basil Cathedral as Russians celebrate New Year on Red Square in Moscow, Russia, on Jan. 1, 2013. 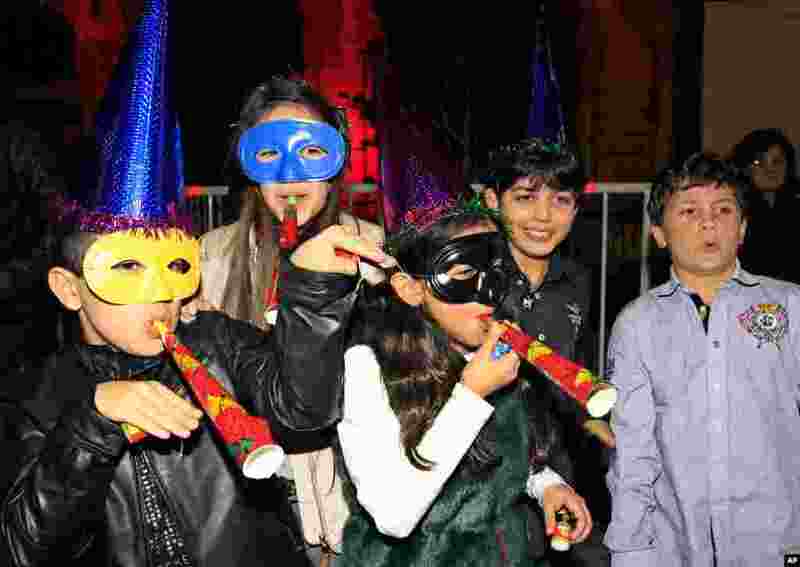 8 Lebanese children celebrate the New Year during a countdown event in downtown Beirut, Lebanon, Jan. 1, 2013. 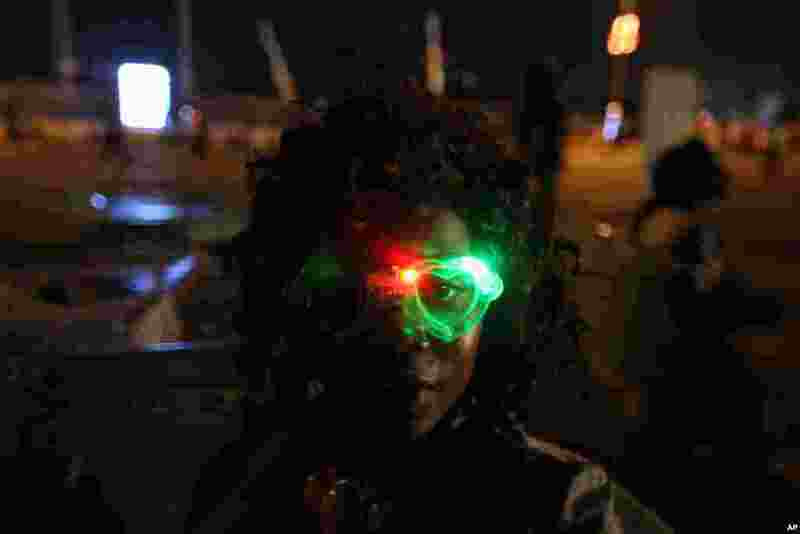 9 A young woman prepares for New Year's Eve at an event at Bar Beach on Victoria Island in Lagos, Nigeria, on Dec. 31, 2012. 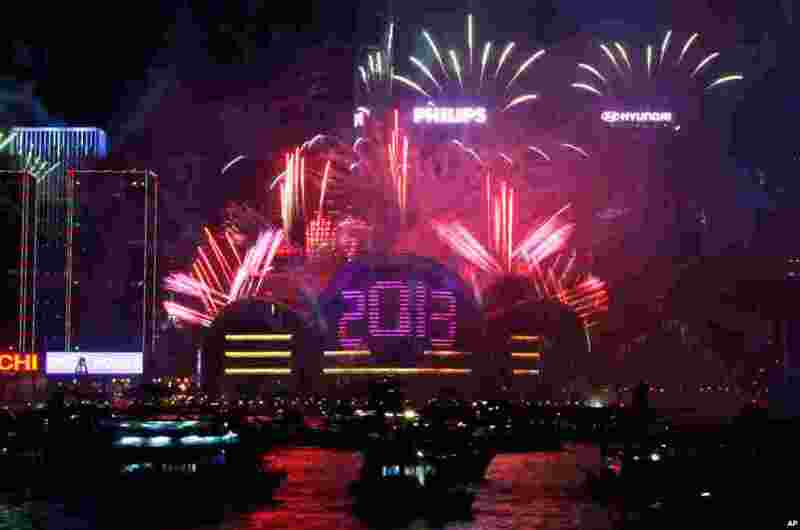 10 Fireworks explode at the Hong Kong Convention and Exhibition Center over the Victoria Harbor, January 1, 2013. 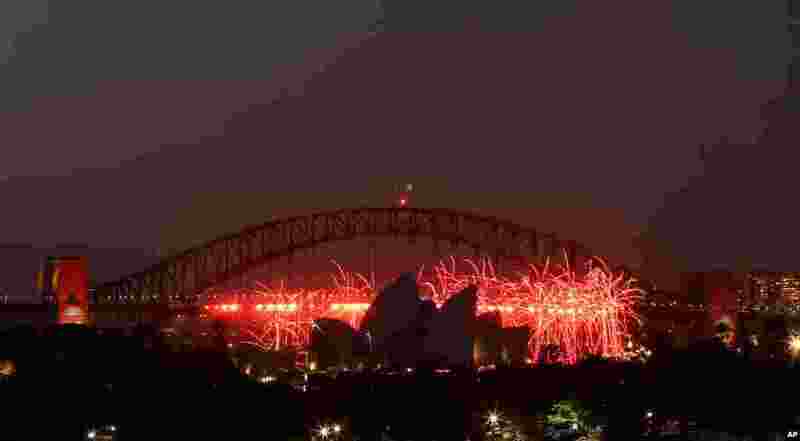 11 Fireworks explode over and around the Sydney Harbour Bridge and Sydney Opera House during new year celebrations in Australia, January 1, 2013. 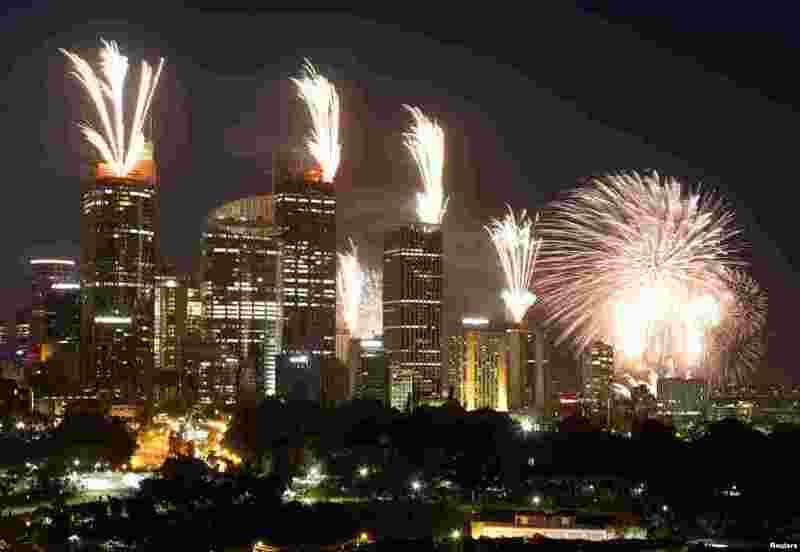 12 Fireworks explode on the rooftops of buildings during a show prior to the new year celebrations in Sydney, Australia, December 31, 2012. 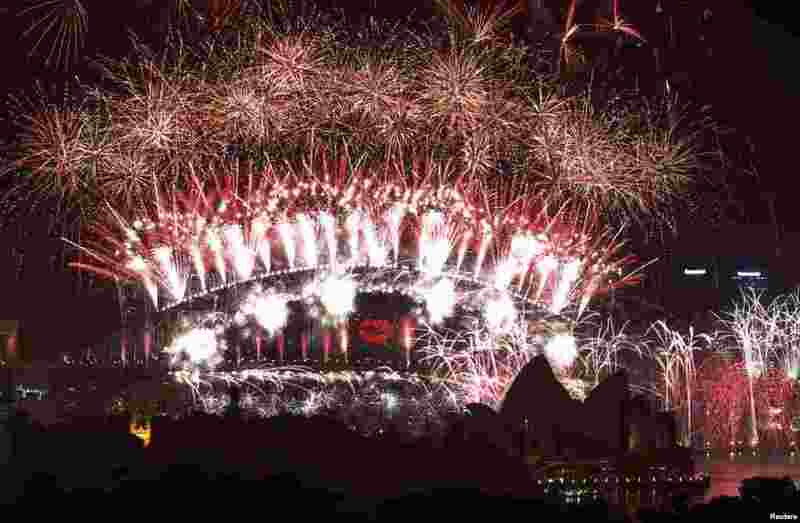 13 Fireworks explode around the Opera House during New Year's Eve celebrations in Sydney, Australia, December 31, 2012. 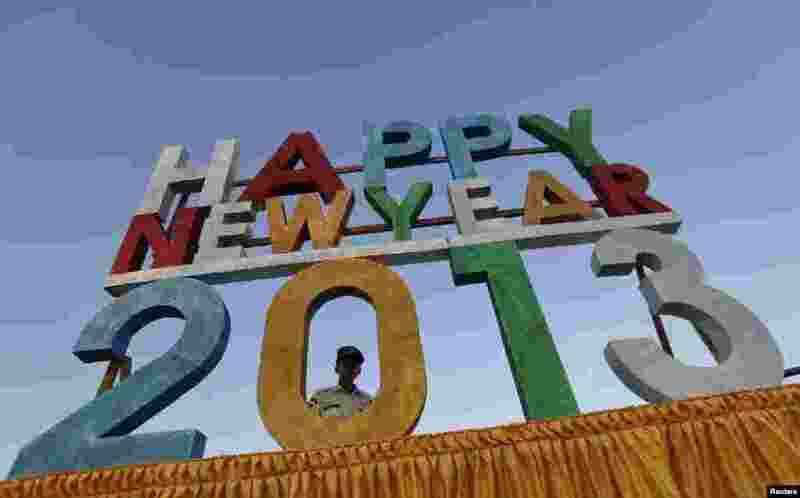 14 A security guard stands behind a signboard at Burma's first public new year countdown celebrations, Rangoon, December 31, 2012. 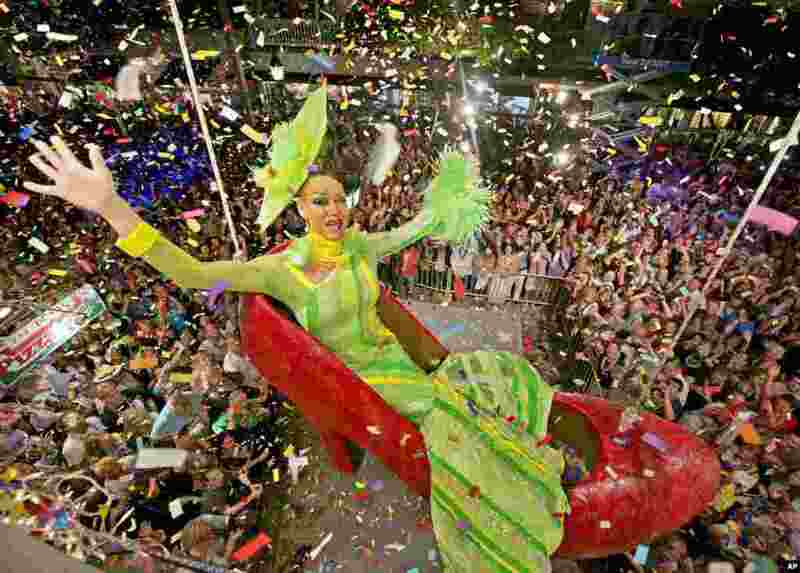 15 Tourists pose as they carry umbrellas with numbers to welcome the new year on the terrace of a hotel near the Taj Mahal in Agra, India, December 31, 2012. 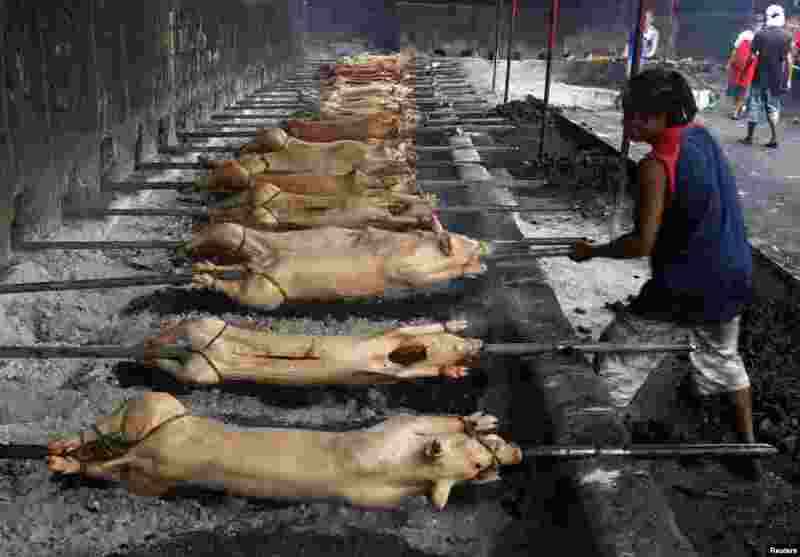 16 A worker roasts a row of pigs, known as locally as "lechon", to be served during new year celebrations, Manila, Philippines, December 31, 2012. 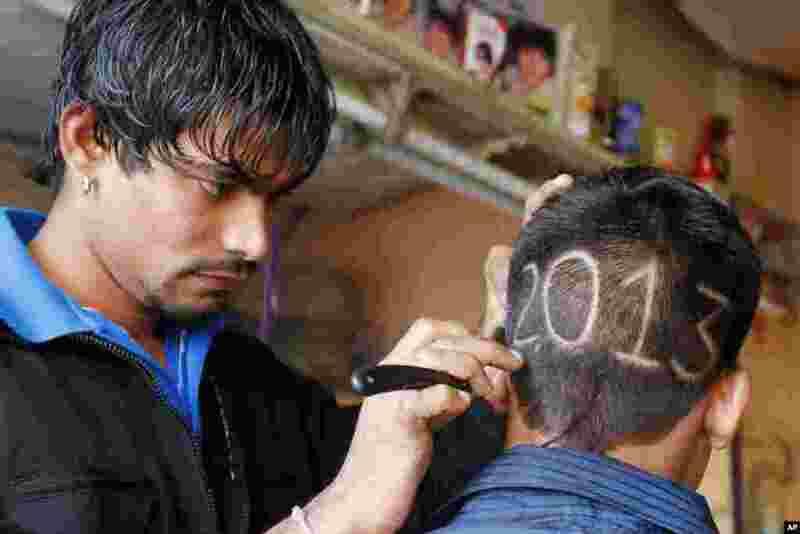 17 An Indian barber gives finishing touches to the hair style of a young boy with numbers to welcome the New Year 2013 in Ahmadabad, India, December 31, 2012.